Helping Kids Play the Great Game of Hockey! In 2008, Darien Youth Hockey Association announced the start of a new fund-raising membership organization entitled FRIENDS OF DYHA. Please join us! FRIENDS OF DYHA primarily raises funds to assist the organization in fulfilling its mission of providing an opportunity for the maximum number of local children to participate in its hockey programs—girls, boys, house and travel. Both corporate and personal donations will be accepted and will provide critical funding for many important DYHA scholarship and philanthropic initiatives. 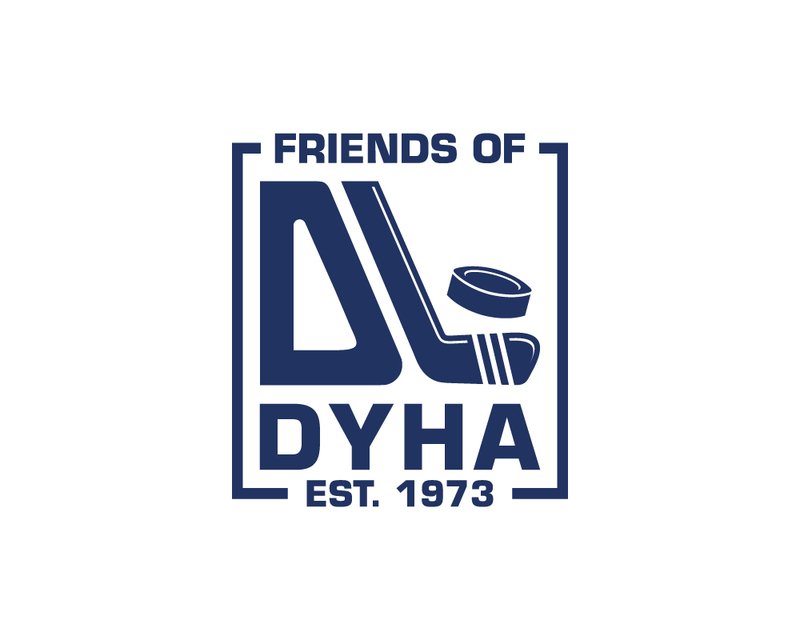 FRIENDS OF DYHA will provide financial aid for individual players that cannot afford to participate in the program. Since its founding, DYHA has contributed more than $100,000 in financial aid, allowing players to learn the great game of hockey. In addition, DYHA has also supported many players that started with the program but would have otherwise been unable to continue participation in the program due to financial hardship. Your gracious gift will directly affect a local skater’s ability to participate in the DYHA program as well as promote the great game of hockey in our local community in many ways! Current DYHA members, DYHA alumni and local community businesses throughout Darien and New Canaan are encouraged to join and support our efforts! Your contribution is 100% tax deductible and you will receive a special FRIENDS OF DYHA car magnet to showcase your support of this great organization. Also, you can make a contribution during the 2018-2019 electronic registration process with your credit card.